← Which Bike to Ride? When I became interested in the bicycles of the French constructeurs many years ago, the little information that was available came from Japan. 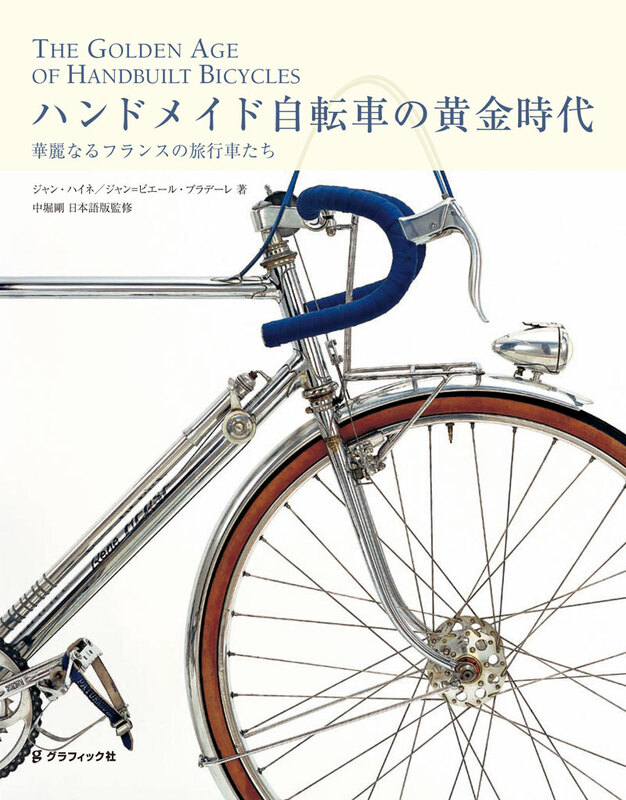 I am happy to return the favor: Our book The Golden Age of Handbuilt Bicycles now is available in Japanese. Maybe it will broaden the appreciation of fully integrated cyclotouring bikes beyond the small circle of Japanese bicycle collectors, just like the English version has done in North America. It would be nice to do a French edition, too, but the French publishing industry is really hard to crack. Today, these wonderful bikes are more appreciated in North America and Japan than their native country. This entry was posted in Product News, Uncategorized. Bookmark the permalink. And the french guys who have interest in this kind of bikes are already suscribers to BQ and have this fabulous book in the library! But good job for japanese! The goal of the book is not just to “preach to the choir,” but to pique the interest of people who didn’t even know these bikes exist. When you look around at Handmade Bicycle shows, or even at the Electra catalogue, you see that this has been a success.